Today’s complex projects require an integrated approach to be completed on time and within budget. Cleopatra Enterprise offers the integrated project cost management solution through the entire project life cycle to help people and organizations improve project performance, maximize capital investments and stay ahead of the competition. Over 20 years, Cleopatra Enterprise has enabled more than 500 industry-leading companies in 75 countries to control large technical projects and improve their project performance. 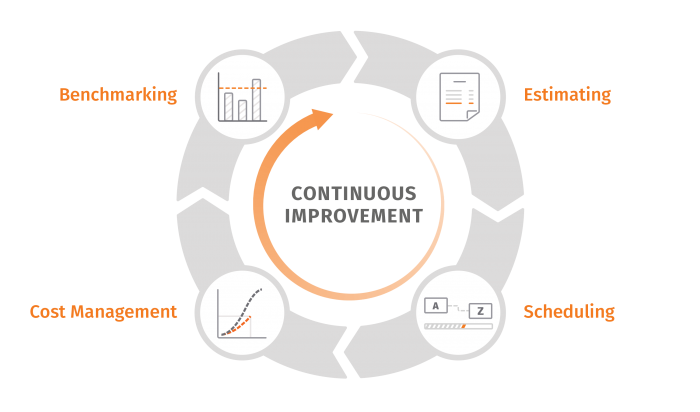 Cleopatra Enterprise offers an integrated approach through the entire project life cycle in one system by including different disciplines within project controls: cost estimating, scheduling, cost management, and benchmarking. It is developed by cost engineers and designed to support the highly regarded AACE International's Total Cost Management approach. Cleopatra Enterprise serves the process industry and used by Owners, Contractors and EPC firms. Using the state of the art technology, Cleopatra Enterprise allows you to work faster and more accurate at the same time. Through the extensive interfacing possibilities of Cleopatra Enterprise, you can import and export to different software solutions, such as Excel and Primavera, with ease. The combination of powerful tools and cloud based technology allows you to apply the ‘anywhere anytime’ strategy. Creating accurate estimates has never been easier. Cleopatra has built-in knowledge management so you never have to search for the information you are looking for. Sophisticated estimating methodologies are available to support each stage of your project, such as parametric cost models or intelligent import of MTO/BOQ sheets. Following the appropriate approach for the specific project phase establishes the accuracy aimed at. Scheduling capabilities of Cleopatra help you get a strategic oversight of your project by adding the factor “time” to your project cost, activities, resources, and revenues. 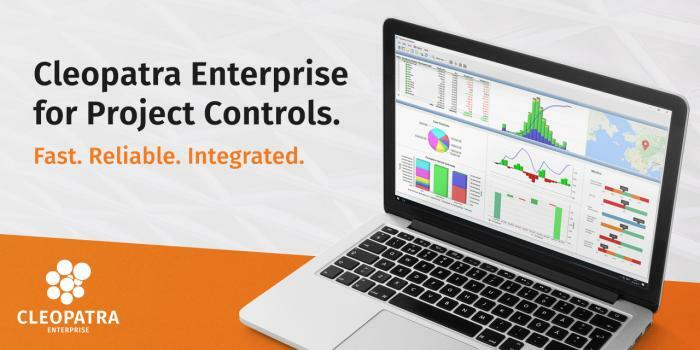 The Primavera interface allows you to transfer data between the schedule, cost estimate and cost control documents in either direction with minimal setup. The newly created activities or changes can be linked automatically. This not only saves time but it also greatly reduces the risk of errors. Cleopatra offers an integrated Cost Management module which seamlessly works together with the Cost Estimating module. That way you can easily recast your estimate into a cost management document. You can gather, analyze and present key project information in an accurate and timely fashion. Cost Management module allows you to perform advanced forecasting, change & process management, earned value management and reporting. 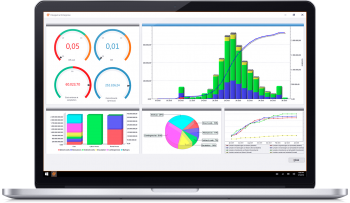 Through project analytics and benchmarking you will have an overview on your project portfolio. Templates and reports can incorporate business rules and save valuable time in delivering your results. 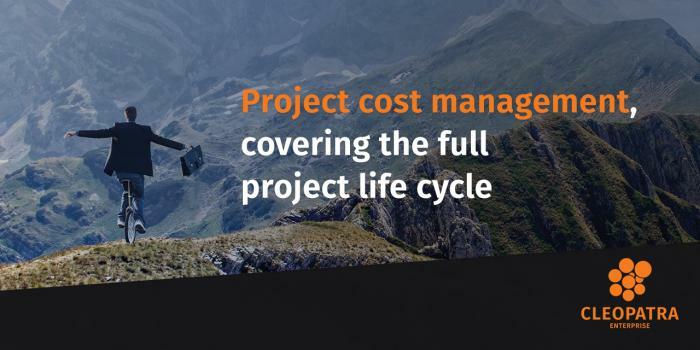 A powerful way of measuring the health of your project, which helps you close the loop between cost estimating and cost management and eventually improve the performance of future projects. Read what our customers say about Cleopatra Enterprise - you may read a selection of user stories from our customers: organizations that operate as major players in various industries, explaining the value that Cleopatra Enterprise adds to their projects.